Picking the perfect paint for your home or business is a decision you want to get right first time. 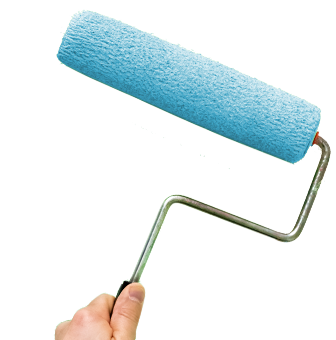 But with many factors to consider before you reach your final choice, it can help to call in experienced Geelong painters for expert advice. The amount of sunlight the surface will receive, its standard temperature and its exposure to weather including rain, wind and salty coastal air. And don’t forget to factor in whether the surface will come into contact with dirt or dust. What paint technology is best suited to the conditions, such as wet-area paint or one that offers great UV protection. The aesthetic element. Obviously you want a finish that has appeal, but do you want the paint to make the space look bigger and brighter or cosy and warm? Do you have a theme in mind? Does the paint result need to fit with company colours or specific branding? How much of that all-important preparation work will you need to carry out before the paint can go on? What sort of temperatures and conditions are best for painting? And have you got the right tools for a great result? At Geelong Prestige Painting, we’ve built a strong reputation as professional and reliable painters for homes and businesses. Whether you need the interior painted, the exterior or both, our qualified Geelong painters have your painting needs covered. And while you might like the thought of tackling the job yourself, getting a professional outfit to handle the job can save you time, stress and money in the long run. Because we’ve been in the industry for years, we know that preparation is the key to a great finish. That’s why we are so thorough when it comes to getting the surface right well before we pull out the rollers and brushes. It’s all about cleaning the surface thoroughly, scraping and sanding back old and rough paint to ensure the new coats of paint will adhere well, protect the surface and look great. From internal feature walls, ceilings and doors to external trim, fascia, weatherboards and render, our professional painters can tackle any painting job with skill and care. For all your exterior and interior painting needs, please don’t hesitate to contact Geelong Prestige Painting today. We are happy to meet with you to discuss your project.